The Plaza of Introspectus is a 60’ wide gathering space laid out in the shape of a compass. In the center, a tall pedestal supports a large steel armillary. Benches and fire zen gardens fill the space offering rest and reflection. The perimeter is defined by four arrow shaped alcoves pointing inward. The alcoves will be made out of curved steel panels and each will have a solitary bench inside. 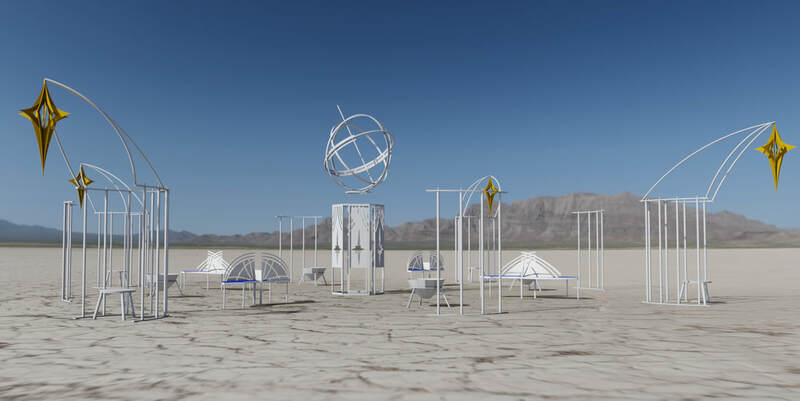 Participants seated on a bench will be privy to a view of the playa augmented by a bright polestar hanging in front of them. In the center stands an 8’ tall steel paneled pedestal. On top of this is a large steel armillary. Inspired by celestial maps, the armillary is 6’ across and will be lit at night with copious amounts of propane fire. Inside the perimeter will be four ornate, two-person s-shaped benches. 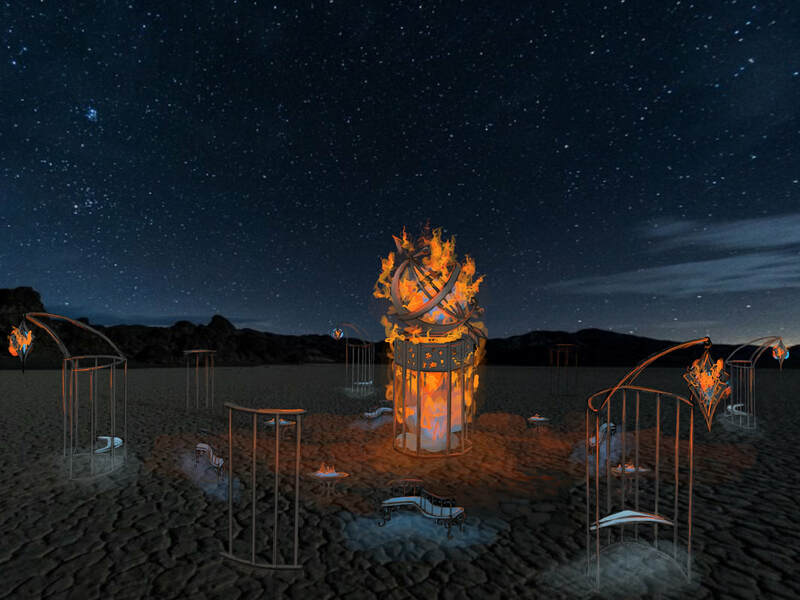 There will also be four fire zen gardens which are steel bowls filled with sand and piped with propane. Many components of this project are repurposed pieces from past projects.